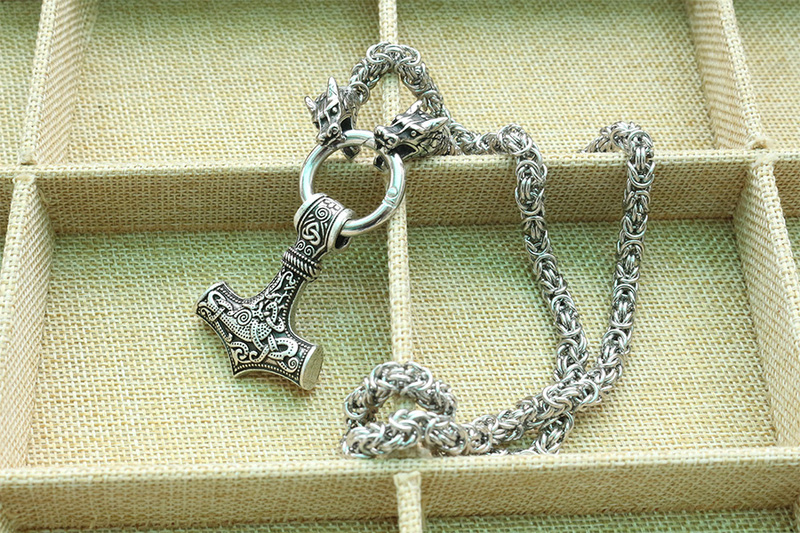 Wear this Stainless Viking Steel Necklace to a gathering with your head held high. Nothing is more attractive than seeing a person oozing with so much confidence and wearing this necklace right here will make you feel as powerful and confident as you can be. The pendant, the chain, the split ring and the wolf heads are 100% handmade from solid Zinc Alloy, which results in a piece of very high quality jewelry. The split ring is simple to open and close, which make easier to hung pendants on it, and for the chain to be removed and put on easily. 1. Metals used in these jewelry are high quality zinc alloy. Unlike other metal jewelry this is free from lead, cadmium and nickel. It is absolutely safe to human body and any types of skin situations. 2. Perfect for gift ideas to your love ones. You may give it to your father, brother, friends and colleagues. It can be used as the gift for daily wear, ceremony, graduation, congratulation etc.Unisex style: fit both men and women,boys and girls. Fit perfectly! And look great!